The pm 5005 integrated amplifier Speakers & Headset is manufactured by Marantz and was added around June 2017. 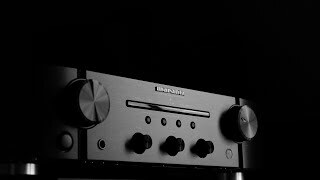 The best price for the Marantz PM 5005 Integrated Amplifier in India is ₹ 19500 sold at ebay and available with free shipping and delivery within 10 DAYS WITHIN INDIA , 21 days OUTSIDE INDIA. By comparing prices and buying from the cheapest store you can save up to 7% or ₹ 1500.